Digitimes reports that LG Display is in talks with China's Xiaomi to provide OLED panels for smartphones. The two companies aim to sign a supply agreement by the end of the year as Xiaomi wants to start receiving panels in the second quarter of 2016. According to Digitimes LGD has been supplying OLEDs to Xiaomi since 2014. This is highly unlikely as Xiaomi has not released any AMOLED product, and LGD is not mass producing small sized AMOLEDs for mobile phones. Yesterday we posted another report from Digitimes that claims that LGD is planning to expand its 8-Gen OLED fab - with an aim to also produce small sized OLEDs. 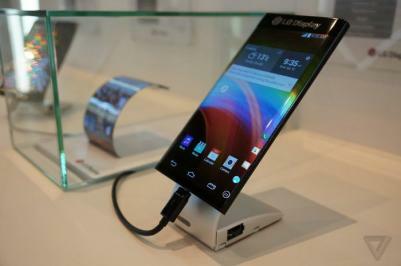 LGD already committed to a Gen-6 flexible AMOLED fab. It's more likely that LGD will supply flexible OLEDs from the Gen-6 fab to companies like Xiaomi in a bid to enter the mobile phone OLED display market with flexible AMOLEDs only. We recently conducted a short interview with an official from LGD regarding the company's OLED business goals and aims. Will LGD supply Xiaomi with curved OLED displays soon? Digitimes: Sintek to supply touch panels and AMOLED backplanes to Samsung, AMOLED plans delayed?